In this first section you can quickly jump to a page of all the shows in a given month. Below that are the titles for every show grouped by month. A good trick for using this page is to press Ctrl+F to activate your browser’s Find function and then enter a keyword (such as “Godin”) to find what you’re looking for. THINK, Bias, and Subliminal Messages! Encore with Guest Ann Handley! Now with More Humor and Matrix! Sonic Branding, Cannabis and A Place Beyond the Sky! Yahoo, The Hand of F8 and S-Town! Now with More Drip Campaign Stockades! Fake News! Bad Rings! Free Stuff! A Special Interview with Scott Brinker! Talking Marketing and Sales with David Meerman Scott! The Week of the Bot! Now with More Merchandising Shenanigans! Now with More Toilet Paper! Now with More Android Stuntmen! Hubspot's Mike Volpe Talks Inbound, Outbound, and Growth! The Return of Derek Sivers! David Meerman Scott and New Rules v4! C.C. Chapman on Amazing Things Will Happen! Now with More Burner Phone! Now With Lower Quality Audio! Nominations Now Open for MoC Awards! Now with More Tim Washer! Special Interview with Noam Wasserman! Live from the Park Plaza! Now with More Shameless Plugs! Now with More Google Plus! Nominations Now Open for the 25th Annual MOC Awards! Now with More Google Instant! Now with More Bad Irish Accent! Special Interview with Simon Sinek, author of "Start with Why"
2010 Marketing Over Coffee Awards Nominees! Facebook, SEO, Google Analytics - New Year? Have You Nominated Us for an Award Yet? Now With More Difficult Questions! Discussion with David Meerman Scott! To The MarketingOverCoffeeMobile! Let's Go! Google! Now with More Caffeine! Discussion: What's your biggest campaign-based traffic driver? The 23rd Annual Marketing Over Coffee Award Winners! Marketing - Do You Know The Greatest? Hey! Look! It's a Windmill! Hannah Montana. I'm coming for you. We're Manipulating Your Perceptions! Bwah-ha-ha-ha! Register for PodCamp Boston 2, get John Wall a video camera! Giving away Podcaster iPhone Kit! 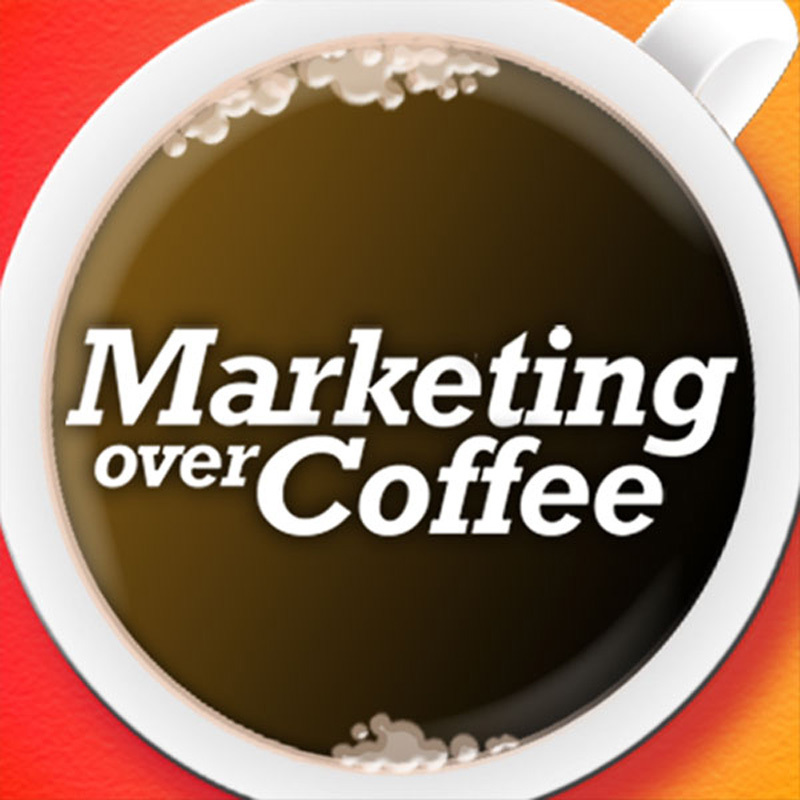 Marketing Over Coffee is Live!